It was a win-win for period dramas at the 2019 British Academy Film Awards in London on Sunday night as the 18th century-set "The Favourite" won seven honours, and the Mexican black and white drama "Roma" registered four big wins. 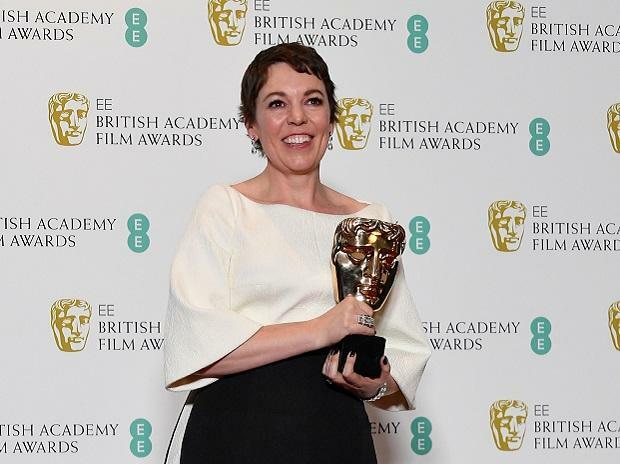 At the ceremony hosted by Joanna Lumley at the Royal Albert Hall, "The Favourite" won Outstanding British Film, Leading Actress (Olivia Colman), Supporting Actress (Rachel Weisz), Original Screenplay, Costume Design, Production Design, Makeup and Hair. Rami Malek once again took home the leading actor award for his portrayal of Freddie Mercury in 'Bohemian Rhapsody'. 'Vice' surprised with the award for best editing, while 'BlacKkKlansman' took home the best-adapted screenplay trophy.